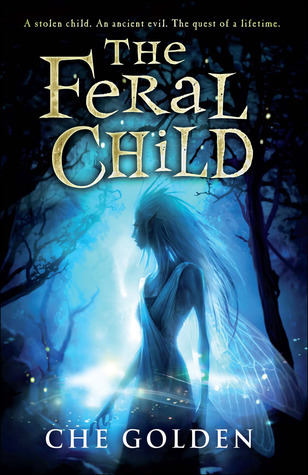 “Gripping, mystical and adventurous, young readers will be as hooked as Maddy was the minute she set foot inside that creepy as hell old castle,” Irish World said of The Feral Child. Maddy, an orphan, is sick of her Irish town, and sick of her cousin Danny, one of the nastiest people you could meet. Mad as hell one evening, she crawls inside the grounds of the castle, the one place she has always been forbidden to go. Once inside, she is chased by a strange feral boy, who she suspects is one of the faerie: cruel, fantastical people who live among humans and exchange local children for their own. When the boy returns to steal her neighbor Stephen into his world, Maddy and her cousins set off on a terrifying journey into a magical wilderness, determined to bring him back home. To do so, they must face an evil as old as the earth itself. Che Golden has created a gripping adventure that interweaves Maddy’s modern Irish experience with the vivid fantasy of the region’s ancient folklore. Readers will enjoy the frank and bold heroine of Maddy, and will be dazzled by The Feral Child‘s evocative rendering of Irish folklore and richly imagined alternate worlds. Going off the synopsis I thought I was going to love this book, but sadly I wasn’t as enchanted as I expected to be – Never the less it was a sweet fast paced easy read. The fae in this story are not sparkly wish granting flower hugging sweetie pies and therefore probably more believable. After losing both her parents Maddy, the 10 year old protagonist, ends up living in Ireland with her elderly grandparents. Maddy has two cousins that join her on her adventures; Roisin was lovely, but Danny wasn’t very realistic – little boys do not have changes of heart that quickly. And that malicious Aunt hell bent on taking Maddy away from her grandparents, owww I couldn’t stand her. Maddy is angry at the world and everyone in it (understandably) and the fae target her because of the great anger and pain she harbours inside. The pain she holds inside her nearly gets her killed in the magical realm, twice! I think this story holds an important lesson to be learnt for the Middle Grade audience it was written for. And I doubt that any faults I found with the stories rushed character development would even be noticed by that target audience. Ten year old me would have eaten this up thinking it was the most fantastical thing ever! The highlight of the book for me was Maddy’s adorable dog George, he added humour to the story and Maddy realising her deep love for her Grandparents. While I found that some parts of the story were far too rushed, overall the book was enjoyable and there were some really wonderful parts in the story that made reading it worthwhile. This entry was posted in Book Reviews: ALL, Book Reviews: YA only, Default and tagged book addict, Book Lover, book review, Che Golden, Feral Child Trilogy, fiction, Folklore, friendship, Irish Folklore, Love, review, The Feral Child, The Feral Child (Feral Child Trilogy #1) by Che Golden by Sarah "SacaKat" Fairbairn. Bookmark the permalink. Sounds interesting. I might give it a try.